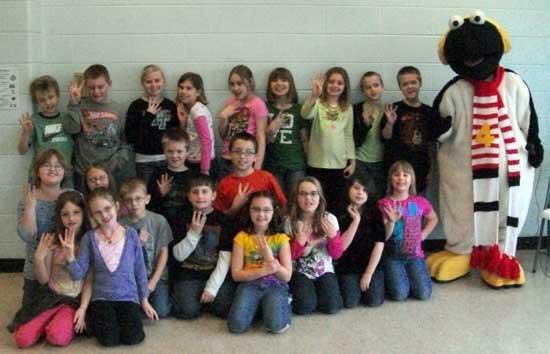 Auburn Elementary School's students and faculty welcomed the "bird with the word" AKA Snowbird. Students from all grades were happy to see Snowbird visit. Students from kindergarten through third grades enjoyed readings from two of Snowbird's most favorite books. He stressed the importance of reading and literacy. Thank you, Snowbird, Steven Good, and Channel 4 for making it a great day for Auburn School. AWESOME! They had a blast guys!